Click on the tabs to view the different guides available. 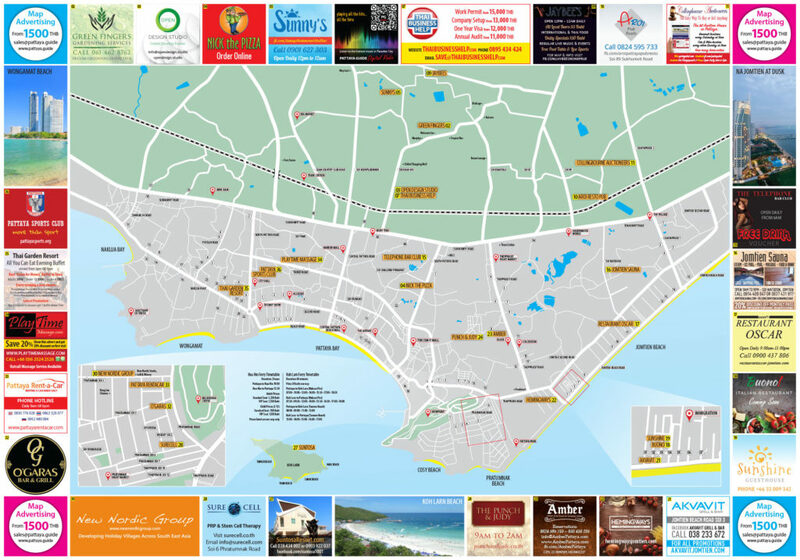 Click on the map image to view a larger version. Having worked in Advertising & Design in London, he has been residing in Pattaya since 2006. He bought The Pattaya Guide in March 2017. The Pattaya Guide is a free monthly publication for tourists and expats in Pattaya. There are in fact three publications, two magazines and a large map that are published every month. These handy pocket guides easily fit in your pocket, ensuring you have the best information at hand. There are three guides available; they are the Original Guide which has been going strong since 2004. In 2016, the Eating Out Guide was introduced and has proved very popular. 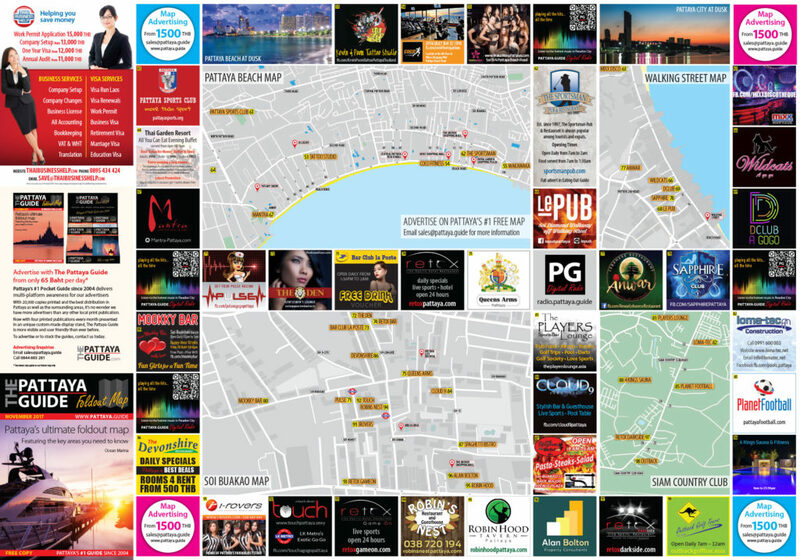 The third guide in the trio, is the largest free foldout map Pattaya has seen, which launched in 2017. 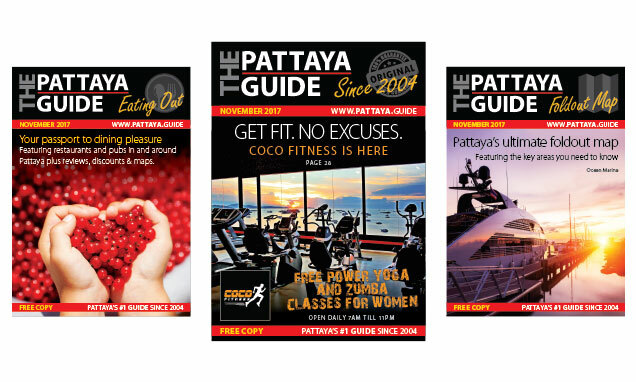 15,000 copies of The Pattaya Guide are printed every month , they are distribute to over 600 plus locations in and around Pattaya every month. They are presented using our unique custom branded display stands, which are clearly visible in hotel lobbies, bar and restaurants, and many other types of venues and business premises. However, distribution doesn’t end there. The three guides are neatly packaged in a plastic wrapper and are distributed with every food order at the following food delivery services: FoodPanda, Door 2 Door and Nick The Pizza. If you can’t find a printed a copy to take home, digital versions are available here on our website. You can choose to view the latest issue, or peruse past issues at your leisure. And with this feature, you don’t even have be in here in Paradise City, you can be anywhere in the world. The Pattaya Guide Co., Ltd.
© 2004-2018 The Pattaya Guide Co., Ltd. All rights reserved. E&OE.